Good Monday morning. 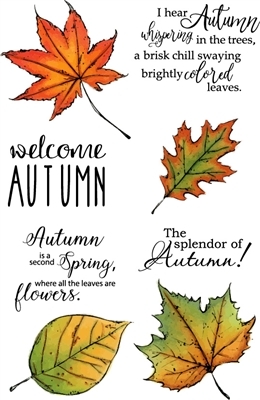 I have a die cut fall leaves card to share with you today using new dies made by Rubbernecker Stamps. I used the new Border’s #3 for the decorative base and created a pretty fall swag arrangement using Tiny Leaves and Berries Branches. Line up the white cardstock and die and run through the die cut machine. 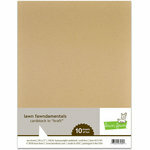 Line up the orange cardstock, cut and line up a second time to create a 1/4″ orange border layer. Apply 1/8″ double stick tape to the back of the orange border and attach it to the white layer. Apply strips of mounting tape to the back of the white layer and attach it to the orange card base. Cut two sets of the berry branches using Kraft cardstock. Use direct ink pad to cardstock technique to apply Antique Linen and Vintage Photo ink to the branches. 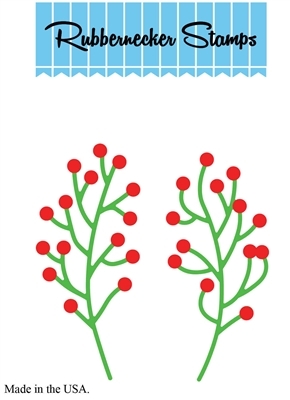 Use a damp baby wipe to smooth the ink over the branches and set aside to dry or dry with heat gun. Cut two sets of tiny leaves using white cardstock. Use mini applicators to apply Fired Brick, Peeled Paint and Spiced Marmalade ink to the leaves. Attach the leaves to the berry sections of the branches using glossy accents. 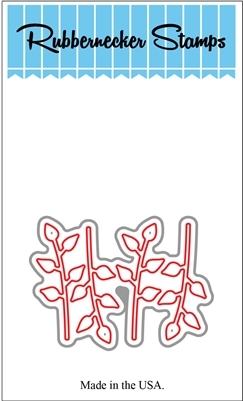 Attach two full branches to the white layer using glossy accents, one left and one right. Cut small sections off of a third branch and attach with glossy accents to fill in the center of the arrangement. Attach a bow to the center of the arrangement using glue dots. 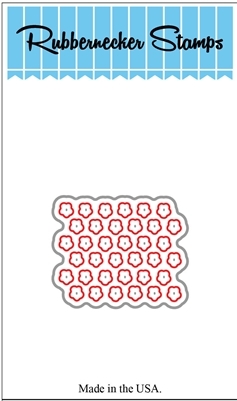 Secure a few key spots of the branches to the card base using rolled up glue dots. I enjoyed making this die cut fall leaves card and look forward to making more in the next few weeks. You can check out my Coloring Leaves video if you would like to see how I colored my leaves. 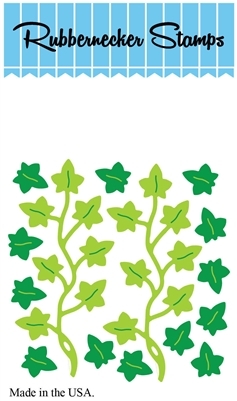 The video shows larger leaves but the technique is the same for the tiny leaves. I sure appreciate you coming by today and I hope you have a great week. Good Sunday morning. I have two pretty cards to share with you today using brand new Rubbernecker dies. The first card has a see through window with a flower box full of ivy and flowers. I used the 5157D Window 4 Pane, 5160-02D Borders 2, 5162-02D Large Ivy, 5160-03D Small Ivy, 5147-09D Flower Buds and 5147-10D Tiny Flower Buds. Cut a 4.25″ x 2.75″ piece of purple cardstock and attach to the white card base using ATG adhesive. Cut 8 4.25 x .50″ pieces of card stock. Start at the bottom of the card base and attach the first strip of cardstock using ATG adhesive. Continue attaching the strips all the way up the card base until you reach the purple layer. Cut the window opening 1/8″ outside the template lines using a craft knife. You may have to cut each section a couple of times to get through the layers of cardstock. Apply thin strips of mounting tape to the back of one window and attach it over the opening. Cut 2 1.00″ wide decorative drape sections using the Borders 2 die and run them through the crimper to add dimension. Apply 1/8″ double stick tape around the inside window opening and attach the drapers leaving an opening to see through. Cut two sections of flower buds and one section of tiny flower buds. Cut three sections of large ivy and 2 sections of small ivy. 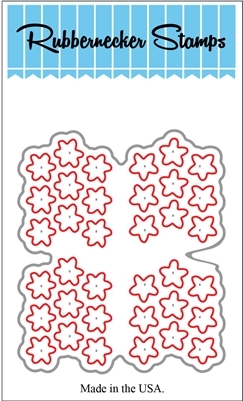 Form the flowers using a stylus and molding pad. 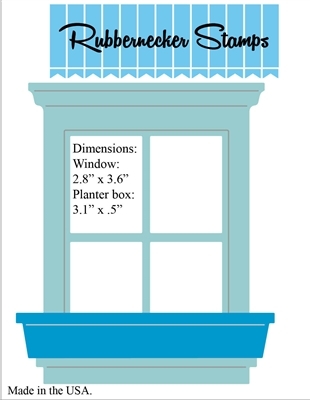 Arrange and attach the large ivy in the window box using glossy accents. Tuck the smaller pieces of ivy in behind the larger ivy to appear going up the window and attach with glossy accents. Attach the flowers to the ivy using glossy accents to fill in the arrangement and complete the scene. 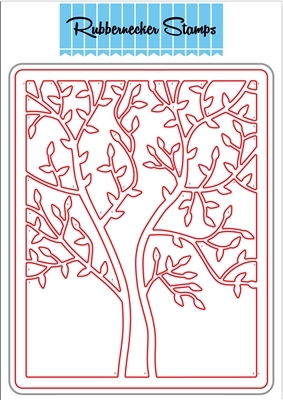 Use Kraft cardstock to cut the tree panel and cut one section of the tree off. Trim off the branch sections away from the frame. Apply Antique Linen and Vintage Photo ink directly on the tree using the ink pads. Wipe the tree lightly with a wet baby wipe to blend the ink and then heat dry. 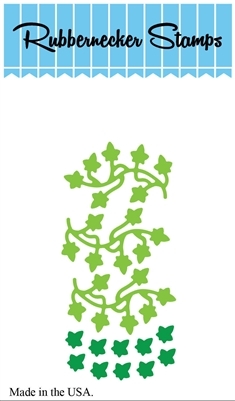 Cut three section of the maple leaf portion of the tiny leaves die using white cardstock. Attach the leaves to the tips of all the branches to fill in the tree. Cut off the lower two branches and attach them with glossy accents to the upper portion of the tree to fill. This will leave a large enough opening under the tree for the grass and wagon. Cut the wagon out in red and cut the wheels in black. Attach the wheels to the wagon legs using glossy accents. Cut a rounded piece of scrap cardstock and attach a base of leaves to cover it using glossy accents. Apply double stick tape to the leaf section and attach it to the wagon. Apply double stick tape to the bottom back of the frame and attach the first grass section. Attach the second grass strip to the back of the frame. apply double stick tape to the back of the grass and then attach the whole frame to the card base. Apply 1/8″ double stick tape to the trunk of the tree and tiny pieces of mounting tape to the back of a few keys leaves and attach the tree in the scene. Tuck the wagon in behind the grass and attach with a piece of mounting tape. Attach the wagon handle to the wagon and frame using glossy accents. Finish the scene by attaching a falling leaves in the sky area using glossy accents, and adding a few more leaves on the wagon and several in the grass. Use a Spectrum Noir sparkle pen to add sparkle and shine to all the leaves. I had so much fun playing with these new Rubbernecker dies. I hope you enjoyed seeing my projects with them today and that you’ll take some time to get crafty. I have a colorful die cut fall leaves scene card to share with you today made using Rubbernecker Rectangle Combo, Tree Panel, Wheelbarrow, Mini Flower Stack, Grass, Tiny Flower Buds, Birds and Flower Stems. Since we don’t have a fall season with changing leaf colors here in Florida I love creating projects with fall themes. It brings back my memories of growing up in West Virginia. -Cut two tree panels using white cardstock. -Color the trunk and branches of one panel using a Walnut Copic marker. -Color the leaves of both panels using mini applicators and Spiced Marmalade, Wild Honey, Fired Brick and Shabby Shutters. -Cut all the leaves off the second Tree Panel and set aside to use in the Wheelbarrow and on the grass area. -Cut the wheelbarrow using Kraft cardstock, cut the birds using white cardstock, cut the flower stems using Eater Grass cardstock and cut the flowers using Marshmallow cardstock. -Apply Antique Linen ink to the wheelbarrow using a mini applicator to create light base of color. Continue by adding Rusty Hinge and Vintage Photo ink to create the weathered and rusty appearance. Color the wheel using a black Copic marker. 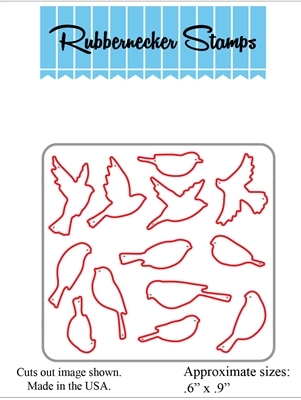 -Color the birds using mini applicators to apply Hickory Smoke and Wild Honey ink. -Color the flower centers using a mini applicator and Wild Honey ink. Cut a set of tiny flowers using brown cardstock. Attach a tiny brown flower to the back of each flower to fill in the opening so the brown would show through. -Create a cloud background on the white card base using Tumbled Glass ink, cloud stencil and an ink blending tool. 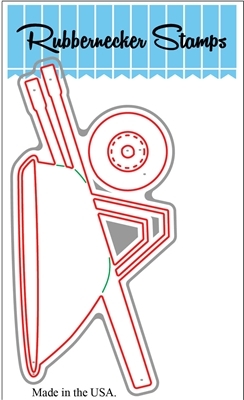 -Cut the white rectangle frame and two green grass sections. -Apply double stick tape to the back lower portion of the frame and attach one of the grass sections. -Apply thin strips of mounting tape to the back of the frame. -Trim the frame off of the tree panel and attach it to the mounting tape on the back of the frame. The tree panel frame is a little too large to fit behind the frame. -Attach the frame to the card base. Attach the second grass section to the front of the frame using double stick tape. -Cut a piece of scrap cardstock and use glossy accents to attach the colorful leaves. Apply enough leaves to create the leaf pile for the wheelbarrow. Attach it to the back of the wheelbarrow using a piece of mounting tape. -Attach the wheel to the wheelbarrow using a glue dot and then tuck the wheelbarrow in behind the first grass section and attach in place with a piece of mounting tape. -Apply glossy accents to the top of each flower stem and attach the flowers. Tuck the flower stems in behind the grass section and around the wheelbarrow and attach using glossy accents. -Finish the scene by attaching the birds using pieces of mounting tape and attach a few leaves on the grass using glossy accents. I appreciate you coming by today. I had so much fun creating this card. 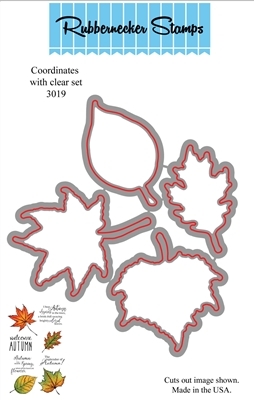 I hope my step by step instructions will help you create your own die cut fall leaves scene card. My project today is a die cut fall leaf wreath card made for Dare To Get Dirty Day 3 of the Splitcoaststampers Dare To Get Dirty week long challenge event. This event is a special thank you to all of the fan club members who support the site all year long. Have you had a desire to be on the Dirty Dozen design team? This special week of challenges will give you tons of opportunity to be inspired and to show off your wonderful and creative projects right along with the current Dirty Dozen team as well as the alumni team members. 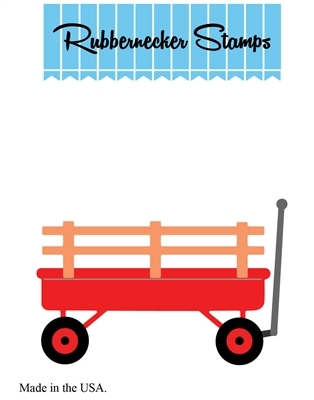 Are you a member of the Splitcoaststampers Fan Club? If not go here to check out all the benefits of being a member. If you are a member hop right on over the special challenge forum here. The frame was made using the All-in-One Frames Squares 2. I cut the frames and attached the two largest sections together using double stick tape. next I applied thin strips of mounting tape to the back of the frame and attached it to the 5.00″ square card base. 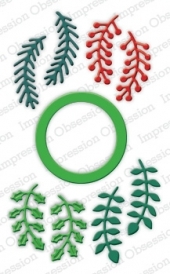 The circle wreath base was cut using Kraft cardstock and the the die from the Wreath Builder set The branches were cut using the Wide Tree die. I cut the die three times using Kraft cardstock, I applied Vintage Photo ink by swiping the pad directly on the branches and wreath circle base and heat dried with my heat gun. I cut the branch sections apart into smaller branches to use to fill in around the wreath base. The leaves were made using white cardstock and the Small Leaf Set. I cut the leaves out four times to have make sure I had enough to create the wreath. I used Shabby Shutters, Fired Brick and Spiced Marmalade Distress Ink and mini applicators to color the leaves. Check out my Leaves with Distress Inks tutorial if you would like to see step by step pictures of how I color leaves. You can also check out my short leaf coloring YouTube video. I start building the wreath by attaching the small branches all the way around the base using glossy accents to completely cover fill it in. Next I attach a multi loop bow to the base of the wreath using large glue dots. Once the bow is secure I begin tucking leaves in around the bow and in between the branches and attach them using glossy accents. The leaves cover most of the branches so I left a section of it open to show them as I think they add so much interest to the arrangement. I added a touch of shimmer to the leaves using a sparkle pen. You can check out my Handmade Twiggy Wreath Tutorial if you would like to see a larger version of this wreath. The tutorial shows using the whole wide tree branch but the concept is the same. You can see my Multi Loop Bow video if you would like to see how I tied my bow. Thanks for coming by today and I hope you enjoyed seeing my die cut fall leaf wreath card. I had lots of fun making it and I love how it pops against the all white background. Good Sunday morning. I have a colorful fall leaves with die cuts card to share with you today. I know we are in the middle of summer right now but I love playing with new toys. I just got the Rubbernecker 3019 Splatter Leaves Stamps and 3019D Splatter Leaves Dies this week and couldn’t wait to see what I could do with them. I used the 5131D Square Combo # 1 OPC to frame the sentiment and attach my leaves. Did you know that Distress Inks stay wet long enough to emboss with them? I use them to stamp and emboss sentiments all the time but I never remember to mention it. I secured the stamp and cardstock in my MISTI and stamped the sentiment on white cardstock using Vintage Photo ink, applied Ranger super fine clear embossing powder and heated. I use super fine powder for all my embossing. The fine powder is especially perfect for fine sentiments. I applied double stick tape to the back of the two largest frames to attach them together. Next, I applied thin strips of mounting tape to the back of the frame and attached it over the sentiment on the card base. I began by cutting two sets of leaves out using white cardstock. I didn’t want to have the outline of the leaf stamped. I just wanted the inner markings to show so I used a brown marker to apply the ink. I lined up the acrylic block and stamp over each die cut leaf and stamped. I used mini applicators to apply inks to color the leaves. I applied the Shabby Shutters, Spiced Marmalade and Fired Brick in patches on the leaves and then used Wild Honey to shade over all three inks to blend them together. Take a look at my Leaves with Distress Inks tutorial if you would like to see step by step pictures of my process. I used a few different ink colors in the tutorial but the process is the same. I also have a little short video tutorial on YouTube. Thanks for coming by to see my fall leaves with die cuts project. I hope you have a great Sunday and that you take some time to get your fingers inky.